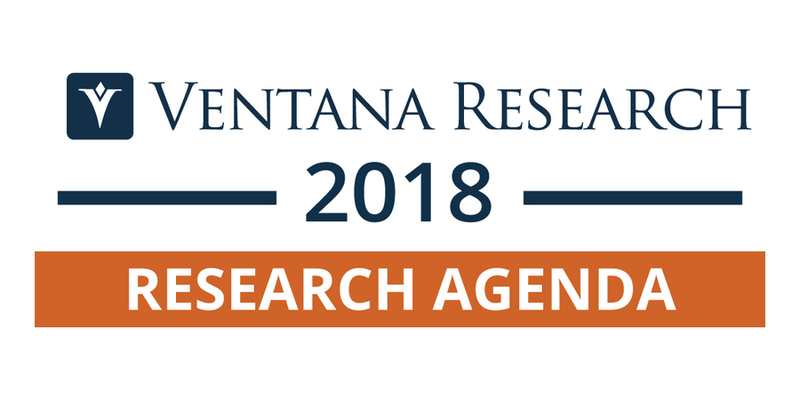 BEND, OR, January 31, 2018 /24-7PressRelease/ — Ventana Research, the leading business technology research and advisory services firm, today unveiled a sharply focused and digitally innovative research agenda for 2018. This agenda, which continues the firm’s 15-year history of research and its extensive reach with both buyers and users of business technology, details the areas expertise the firm will focus on for 2018. The research detailed in this agenda will provide continued support to enable businesses to utilize their technology and resources efficiently and effectively and operate and perform well. This 2018 research agenda reflects an innovative shift in the firm’s view of how and why business will need to embrace digital technologies at a brisk pace to remain effective in the market. 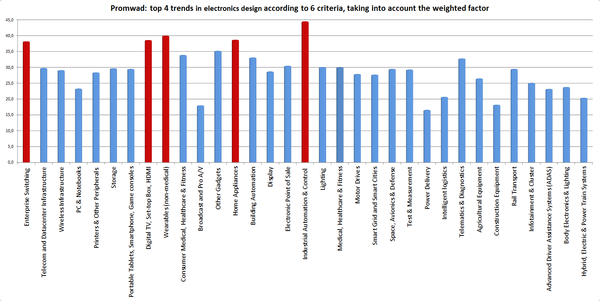 The research focuses on a number of key digital technology innovations that are changing the way business operates: analytics, artificial intelligence and machine learning, blockchain, bots and natural language processing, digital collaboration, cybersecurity, the Internet of Things, and wearable computing. The research will assess the impacts of these technologies in finance, human resources, sales, marketing, customer service, operations, supply chain and IT functions in more than 20 industry categories. Building on last year’s introduction of its newest research offering, Ventana Research in 2018 will launch more Ventana Research Dynamic Insights assessment surveys, along with new market research initiatives that will enable the firm to provide cutting-edge guidance on best practices and market trends. This innovative research helps guide buyers to prioritize their efforts and ensure they are able to reach their optimal outcomes. This research agenda, produced annually, is designed to enable businesses to plan and gain insights from trends and best practices so they can retain and advance their competitive edge in 2018. It also highlights the unique experience- and research-based services Ventana Research provides and distinguishes them from the less rigorous offerings of other advisory or consulting firms. The firm provides some of the most authoritative guidance available on best practices to support informed technology choices, using a rigorous research methodology and experience gained from more than 15 years in the industry. Ventana Research has benchmarked tens of thousands of organizations, differentiating it from any other analyst firm in the industry. Its research and education is provided directly to a community of members worldwide. “In 2018, businesses will see a major shift in the role technology plays in their organization,” said Mark Smith, CEO and chief research officer of Ventana Research. “This is a year to focus on how emerging technologies can optimize business potential. Explosive growth in AI, machine learning, processes automation and natural language processing will create disruptive shifts in every line of business. To capitalize on these changes, companies will need to ensure they are relying on authoritative advice and best practices guidance that helps improve the people, processes, information and technology in their business – advice and guidance based on research from a firm that engages with them and their peers and measures how they achieve these tasks. IT-focused analyst firms that still operate in the dark ages of IT focus and technology categories lack the business context and digital effectiveness to effectively prioritize the application and digital technology investments that matter the most to organizations. Ventana Research is the only technology analyst firm that publicly posts its research agenda and framework for an entire year and provides free access to market research. Merely providing an analyst note or listing reports to be written does not constitute a useful research agenda; it merely announces the use of an approach not built on fact-based market research and full product evaluations. “Our market- and primary research-based approach and our focus on educating buyers in an efficient and digital manner more clearly than ever differentiates our firm from the array of others,” Smith added.